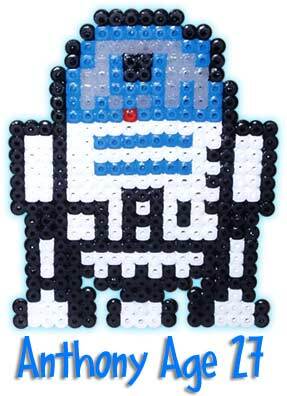 If you came here looking for Star Wars Perler Bead patterns you’ve come to the right place. The one on the left is one I designed off of a GIF file I had found. I’ve also found a Stormtrooper’s Helmet, a Tie Fighter, and the very clever Yoda. If you find anymore let us know. There’s a photo on the site that shows the finished design hanging in a window. It must have taken a long time to make but turned out pretty cool. I have to buy the new star wars theme on my Tom Tom GPS. Looks like It’s wonderful!